very special occasion deserves a distinct celebration. 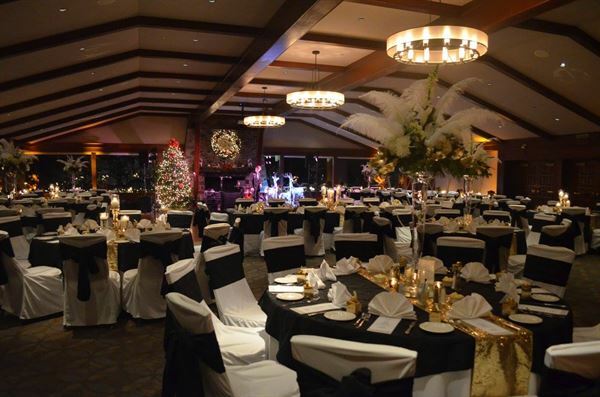 From family events including birthdays, bridal/baby showers, graduations, anniversaries, family reunions and religious milestone celebrations for bar and bat mitzvahs, communions and confirmations to business, civic and social events including retirement dinners, holiday parties, fund-raisers, proms, sports banquets, class reunions and more The Springhaven Club has ideal offerings. We are happy to assist you with all the details of your business function, shower, wedding reception, rehearsal dinner, bachelorette / bachelor dinners, birthday celebration, anniversary party, celebrations of life, holiday parties, and short notice repast. Guests will enjoy the freshest seafood, succulent steaks and impeccable service in a setting that only Chart House can provide. Perched high above New Jerseys largest marina the Frank S. Farley State Marina and connected to the Golden Nugget Hotel and Casino via accessible sky walk, Chart House is the perfect location for your next special event in Atlantic City. Our beautifully-appointed Marina Room offers unparalleled views of the Frank S. Farley State Marina. By reserving our Marina Room, your party of up to 70 guests will be mesmerized by magnificent views of the glittering Atlantic City skyline. For smaller events, the intimacy of our private roof top dining loft, cannot be beaten. For up to 30 guests, this roof top dining loft is the perfect spot to be surrounded by birds eye views of the Atlantic City skyline and harbor. Our chef has arranged multiple unique menus, meaning your event can be customized just the way you imagine. No matter what type of event you are hosting, we are prepared to make it unforgettable. For your next birthday, anniversary or retirement celebration, consider the intimacy of private dining at Chart House. The Abington Club is located in the heart of Jenkintown. The Abington Club has two private banquet rooms. Our "ballroom" holds up to 250 people, and is surrounded by floor to ceiling windows, brand new hardwood floors, and a brand new bar. This room also has a patio off the side, which overlooks our golf course and outdoor pool! Our "Party Room" holds up to 60 people, has a working fireplace, TV, stone walls and hardwood floors throughout. The Abington Club is also the home of The Wet Whistle Bar and Grill. This restaurant/bar has high ceilings, a fireplace, and a large patio over looking our 9-hole golf course! HOST A HISTORIC EVENT ABOARD THE BATTLESHIP NEW JERSEY The Battleship New Jersey, the US Navy's most decorated battleship, is a unique and historic facility ready to host your next social, corporate, or special event. From the Battleship's decks, the skyline of the Philadelphia and Camden Waterfronts provides an extraordinary backdrop for your special occasions. And as you follow in the footsteps of the proud crews of the "Big J," you'll appreciate what it must have been like to be a member of the Battleship New Jersey's crew. Historic facilities for social, corporate, and special events... For groups from 15 to 3000.